The highlight of the auction is a collection of 26 baseballs each autographed by a Major League player who has hit 500 home runs. 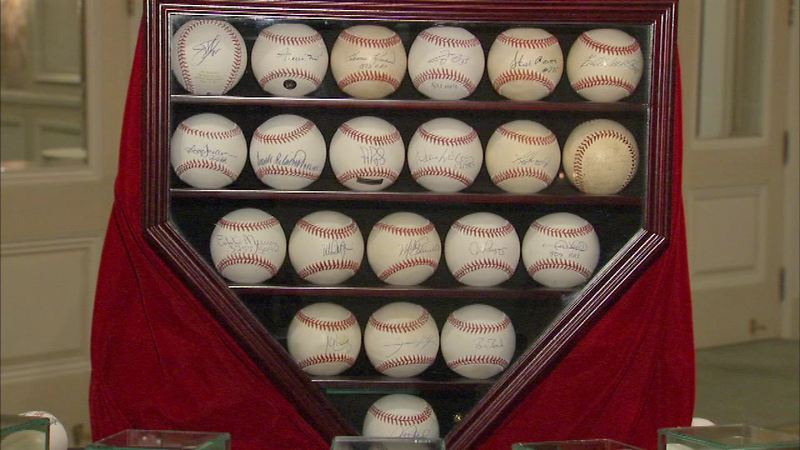 CHICAGO (WLS) -- A very rare baseball collection was auctioned off Friday night in memory of Ernie Banks. Money raised goes to the Juvenile Protection Association, a Chicago organization that helps kids with trauma. The highlight of the auction is a collection of 26 baseballs each autographed by a Major League player who has hit 500 home runs. There's no word yet on just how much money was raised through the auction of these and other collectibles.